Beer and food pairings are common. What’s not as common is making a craft beer as a part of a culinary collaboration. 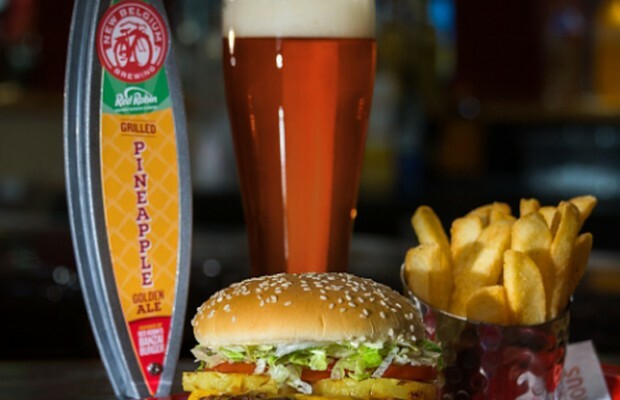 New Belgium has entered a deal with the Red Robin restaurant chain to create a new beer called the “Grilled Pineapple” Golden Ale to be paired with a Banzai Burger. 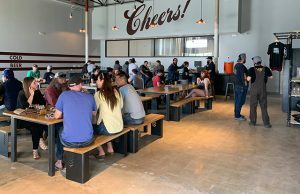 The news was announced by the restaurant on September 26 and the beer will make an appearance at next week’s Great American Beer Festival in Denver before being available for a limited time in Colorado. 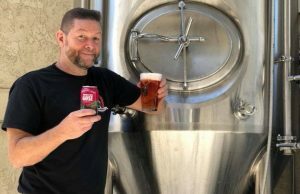 In a release, New Belgium brewer Dave Glor said the two companies share inspiration and innovation. “Partnering with Red Robin … is a great fit because they feel the same way about their world-class burgers as we do about our world-class beers,” Glor said. 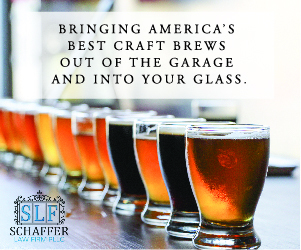 It’s not the first time that a craft brewery has teamed with the culinary arts. Maryland’s Flying Dog Brewery released Backyard Ale in 2011, a collaboration with chef Bryan Voltaggio. The executive chef and owner of six restaurants now had just finished a BBQ tour of the south and Flying Dog wanted to explore a host of smoked malts and craft the perfect beer to pair with BBQ said Flying Dog’s Senior Director of Communications Erin Weston. 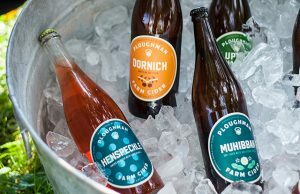 Backyard Ale was a one-time collaboration with Voltaggio that was packaged for bottle and draft and released only to Flying Dog’s Frederick, Maryland-area wholesaler, which is where Voltaggio’s only restaurants were at the time. 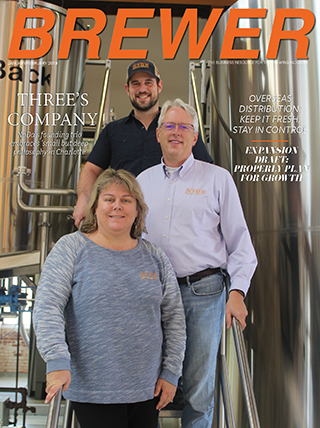 “Backyard Ale was a one-time release, but I know for a fact that we’d be open to working with other chefs on similar projects – less private label and more true collaboration – in the future,” Weston added. Red Robin’s Banzai Burger is glazed in teriyaki and topped with grilled pineapple. New Belgium developed the beer to complement the burger’s teriyaki and pineapple flavor profile by using ginger, brown sugar and black malt to build up the soy and umami notes, followed by a dose of pineapple chunks and a touch of applewood smoked malt.